Kidliterati: Cover Reveal: The Unmoving Sky by K. L. Hallam and Giveaway! Cover Reveal: The Unmoving Sky by K. L. Hallam and Giveaway! Wow, it’s finally here! Super excited to share my book cover reveal on Kidliterati. 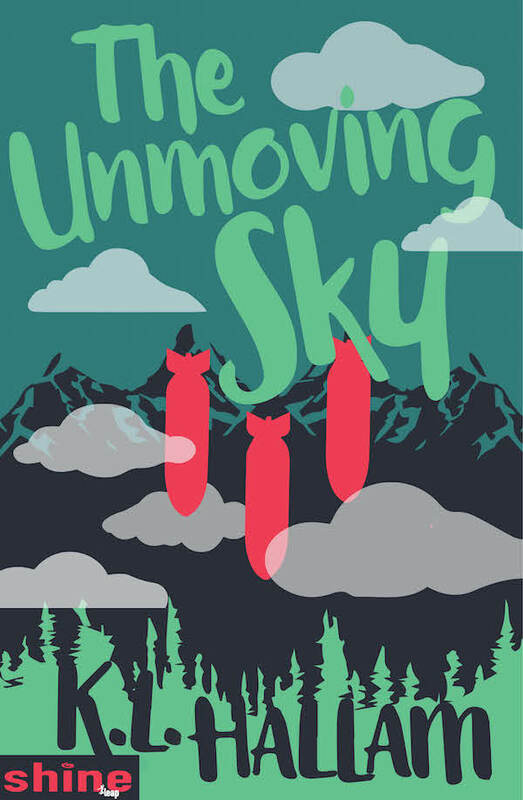 THE UNMOVING SKY publishes with Leap Books Shine imprint for fast paced, emotional YA and NA novellas that are a bit edgier than other Leap titles. Last summer, my publisher sent a form, asking me to describe how I might see the cover for TUS. I’ve always loved vintage graphic book covers, in the vein of Kurt Vonnegut’s Breakfast of Champions (A favorite book) I love that the whimsical and colorful visual contrasts with the subject matter of TUS. So I narrowed down the choices and picked one. I’m pretty happy with it and enjoyed having a voice in my book’s cover design. Thank you, Ashley Poston, for creating such a cool cover! There is nothing darker than the woods ... until you meet your worst fear. I love my book trailer! The first, and second time I watched I cried. My editor, Judith Graves helped in creating the trailer. Actually, she did most of the creating, and my dear friend, guitarist, Bruce Edwards of Dark Tone Music infused it with his musical magic. He's amazing if you ever need commercial tunes! Yes! That cover!!! *swoons over vintage graphics* I can't wait to read this, Karen. Congrats!!! Awesome cover and the trailer is great! Congratulations!! !